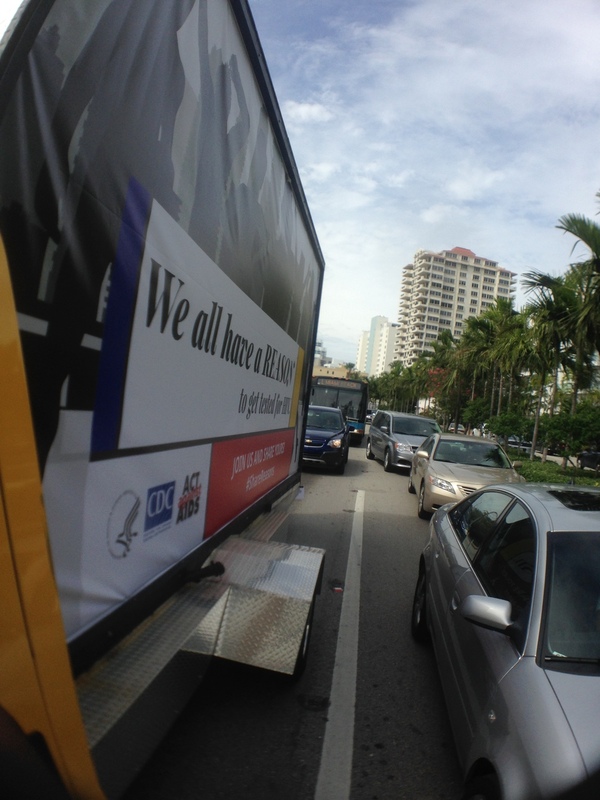 Mobile Billboard Miami was contacted by Center of Disease Control (CDC) to run a Mobile Billboard Campaign to advertise HIV awareness. This was a very interesting week surround by over 80,000 consumers from all over. 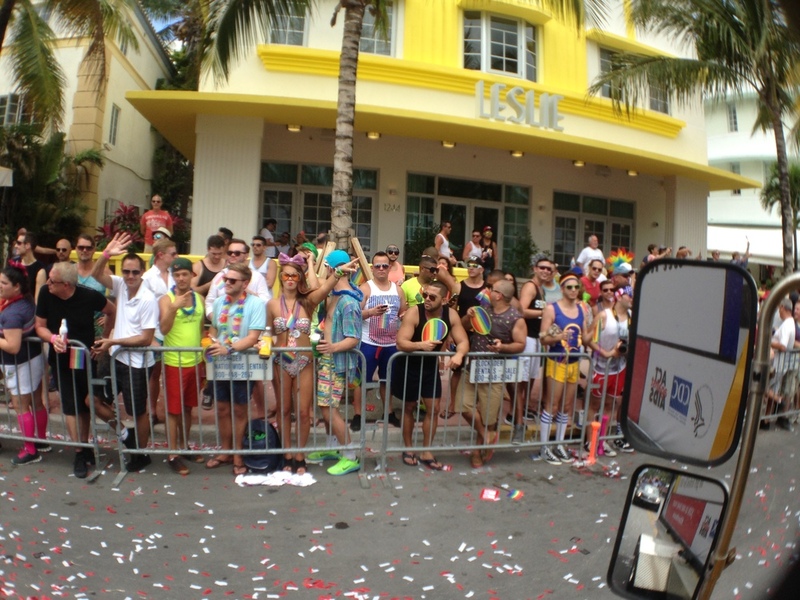 Covering Miami Beach, Downtown Miami , Bayfront, Calle Ocho , Brickell and many more surrounding areas. 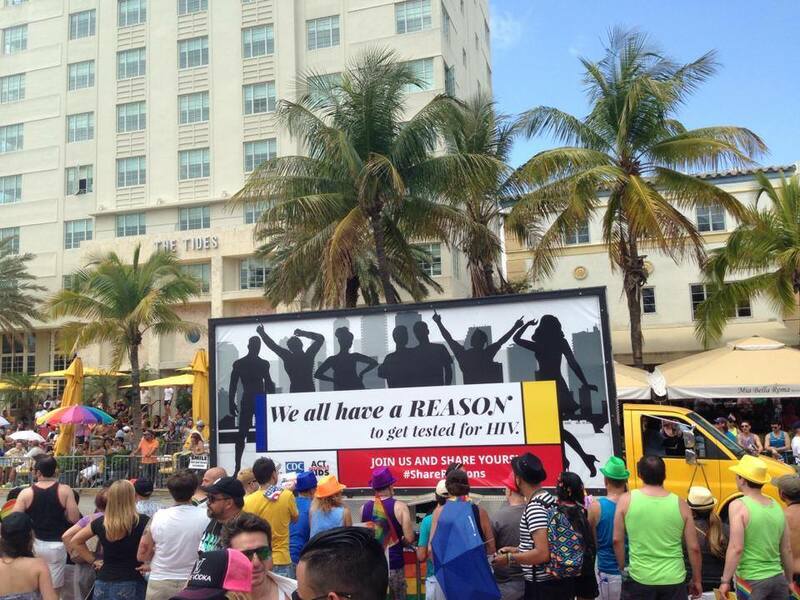 Mobile Billboard Miami was also requested to join the parade on Ocean Drive. Bends, Dancing , Music, and free giveaways. This was something you had to experience yourself.